This story is about United Airlines. More like fly the cramped, stuffed like sardines in a tin can skies. I might purchase more legroom if the legroom was exactly as shown in the picture! Don’t get your hopes up. One of my Chicago-Munich flight mates told me he purchased more legroom once and it was the exact same! They want you to “fly the friendly skies” but their idea of friendly is to be totally incompetent. I hate to say it, but it’s the truth. My next United Airlines flight was going to Munich and boarded a little bit late but that’s no big deal. It boarded around 5:30 PM, the plane de-iced and then we started to taxi. And we taxi’d… And we taxi’d! The plane taxi’d around the airport for 5 1/2 hours with us trapped inside! Allegedly, they couldn’t let us off the plane because there were no gates available. Total BS of course. They easily could have had any plane at any gate temporarily move so that we could get off the plane. Then our plane could have moved to let them back at the gate. Plus, I know it’s BS that they couldn’t have let us off the plane because I’m pretty sure every airport has those stairs they can attach to the plane, you know, just in case. They use them at the Zagreb Airport every time I get off one of their flights! It’s standard procedure there! During this 5 1/2 hour ordeal, we had to have our seat belts on and stay seated because we were moving. The captain kept turning on and off the engine so we never got to finish watching movies since we had to restart them every time! Eventually they started to feed us. They brought out the kosher meals for those who had special meals and then the Captain put the kibosh to that pronto so the rest of us didn’t get to eat. I hadn’t eaten since maybe 1 PM, they didn’t feed us on the plane and at the end of the 5 1/2 hours they told us the flight had been canceled. This was, of course, after they told us the plane simply had to go to a gate to be de-iced again. They promised us we would take off after that. By the time they let us off the plane all the food places were closed. It was now 11 PM or a little after and they told us that that we needed to rebook our flight and that the line in the main lobby (outside the TSA checkpoint) was much quicker. A vast majority of us went out there to rebook our flight. We stood in line for ages as it took the United Airlines agents 15-20 minutes to help each person. Then the United Airlines ticketing counter manager comes out at 1 AM and tells us that his people are going home at 1:30 AM. And they did. With all of us still standing there in line waiting. One of their ticket agents was actually in the middle of helping someone when she just walked away and never came back! Now we had to wait until 3:30 AM for the next United Airlines shift to come in. Finally, they came in and the only available flight to Munich was Wednesday. Every flight to Munich was either canceled or full. But by some miracle, seriously it was a miracle, the ticketing agent and her friend at the United Airlines customer service hotline were able to get some of us on a flight to Frankfurt that then flew to Zagreb! That flight was thankfully through Lufthansa and not United Airlines, except it left at 4:10 PM that afternoon. I didn’t care at this point. I was thankful it left before Wednesday! Some people complained to the ticketing manager about how the Captain said the flight was canceled due to crew not being available. Which he did say. The ticketing manager told us United Airlines would reimburse people for hotels. THEN the manager came back out and told us the flight was canceled due to weather just so they wouldn’t have to reimburse 300 people. Ridiculous. But I digress… It was now 4:30 AM or so and now that I had my flight rebooked I went to find something to eat. All the food places were past the TSA checkpoint and even though I had my flight rebooked I didn’t have the boarding pass yet. Lufthansa doesn’t open until 12:30 PM at the Chicago airport so I couldn’t get my boarding passes until then. In case you were wondering, no, there aren’t any food places outside of the TSA checkpoints. I know, unheard of right? One of my Chicago-Munich flight mates told me there was a 7-11 type store over in terminal 5 but when I went to find it I found that it doesn’t exist. At least I couldn’t find it. I did find a McDonalds that didn’t open until after 6 AM. Of course I waited. I slept on my carry-on bag until the airport police woke me up to tell me that’s how bags get stolen… And then he mini-interrogated me about why I was there. As I mentioned, my rebooked flight to Frankfurt was through Lufthansa and I must tell you it was fantastic! They left on time, they fed us, they gave us hot cloths for our face and best of all: they didn’t make excuses! We even arrived to Frankfurt early! Sadly, my return home flight was not changed and it was still through United Airlines. This trip made me decide to NEVER fly with United Airlines ever again. Next time, I will pay extra just to avoid them if I have to! It seems to me that if you own a business and you want to stay in business, you provide excellent customer service. You don’t walk away to go home when you are in the middle of helping someone. You and your colleagues stay and help every last person in that line because that’s what honorable businesses do. That’s what honorable people do. 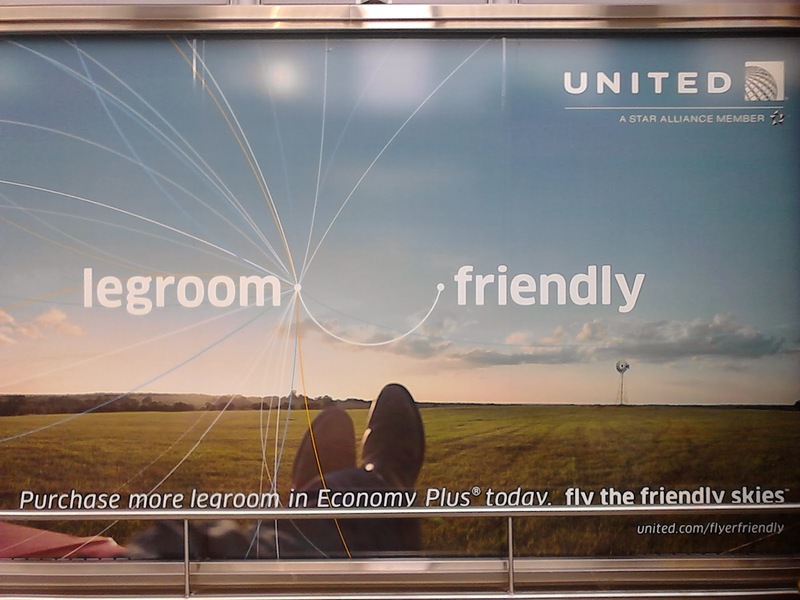 United Airlines has no customer loyalty and they are certainly not an honorable business. Read a short post with pictures about what happened to my luggage during this ordeal in my post: My Arch Nemesis Is An Airline – Part II. It’s almost as ridiculous as this post. Until next time! Travel safe, travel smart! This incident happened on Decemer 8-9, 2013.